What is Purchase to Pay or P2P? Home>Resources >Purchase to Pay >What is Purchase to Pay or P2P? 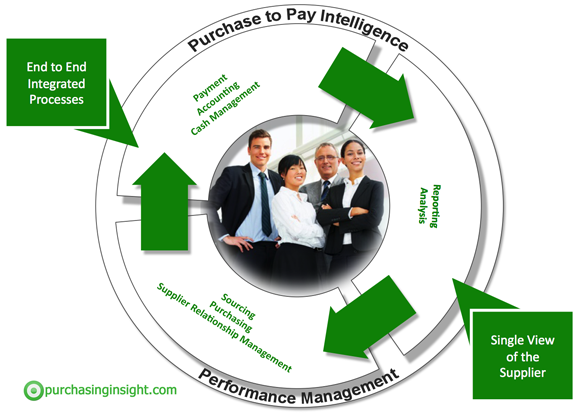 Purchase to pay, often abbreviated to P2P, refers to the business processes that cover activities of requesting (requisitioning), purchasing, receiving, paying for and accounting for goods and services. Purchase to Pay is synonomous with other terms such as “Req to Check” and “Procure to Pay” and “Order to Cash”. Depending on the context, these phrase can be used to describe either buy side or sell side process and some vendors have adopted these terms as brands for their ERP modules. Purchase to Pay (P2P) is often associated directly with the technology that support the processes it describes like e-procurement and ERP purchasing and payment modules. Why is Purchase to Pay Important? The deep embedding of technology in business in the late 20th century facilitated a rapid evolution in business practices of all kinds and supply chain was no exception. Historically, procurement and purchasing was seen as distinct from finance and accounting. Although the two functions may have shared a set of suppliers in common, the absence of joined up processes and detailed business intelligence and reporting meant that there was little opportunity to generete synergy. In the 21st century however, the synergy is compelling and significant process efficiencies can be gained through the implementation of Purchase to Pay. Single view of the supplier allowing more effective supplier relationship management. End to End automated processes reduces labor cost and increases accuracy. Better Spend Management allows visibility of spend across whole organization with the ability to police compliance to contract process and policy. Opportunities for closer collaborate with suppliers on initiatives like demand planning and forecasting. Purchase to Pay – So You Think You’re World Class?